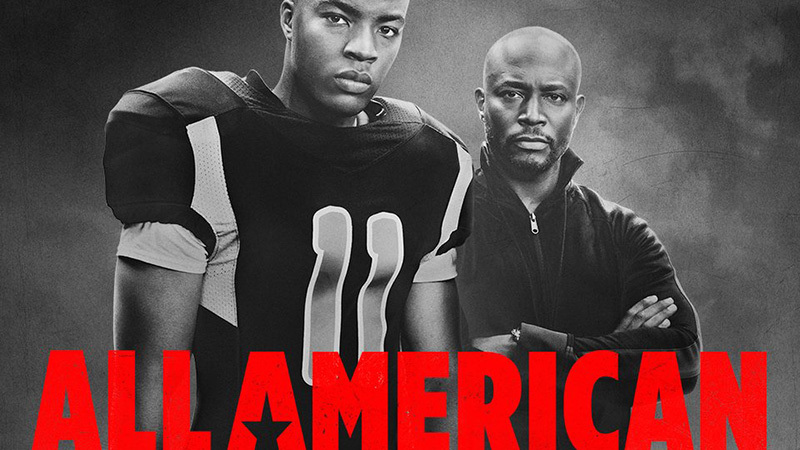 The CW has revealed the new key art for the upcoming high school football drama series All American starring Daniel Ezra (Prime Suspect 1973) as lead character Spencer James. Check out the key art now in the gallery below! All American also stars, Taye Diggs (Empire), Briana Lane (NCIS), and Jordan Belfi (Entourage) and premieres Wednesday, October 10 on The CW. Spencer James (Ezra) is a rising high school football player and A student at South Crenshaw High. Compton is the place he calls home. But when Beverly High School’s football coach Billy Baker (Taye Diggs) recruits him to join the team in Beverly Hills, Spencer’s mother, Grace (Karimah Westbrook), and his best friend, Coop (Bre-Z), convince Spencer it’s an opportunity he has to seize. Now Spencer must navigate two worlds — the south side neighborhood that he knows and the affluent Beverly Hills world that has offered him an opportunity for something bigger. When Spencer is forced to move in with Billy and his family to protect his transfer permit to Beverly, Billy’s son Jordan (Michael Evans Behling), the team’s starting quarterback, is less than thrilled to be sharing his father’s attention — or the team spotlight — with Spencer. While Spencer struggles to find his footing, he makes an unlikely friend in Jordan’s sister, Olivia (Samantha Logan), who is dealing with her own demons. He also quickly develops a crush on his classmate, Layla (Greta Onieogou), something her boyfriend, Asher (Cody Christian), quickly realizes — and so, he sets out to drive Spencer off the football team and out of Beverly Hills for good. 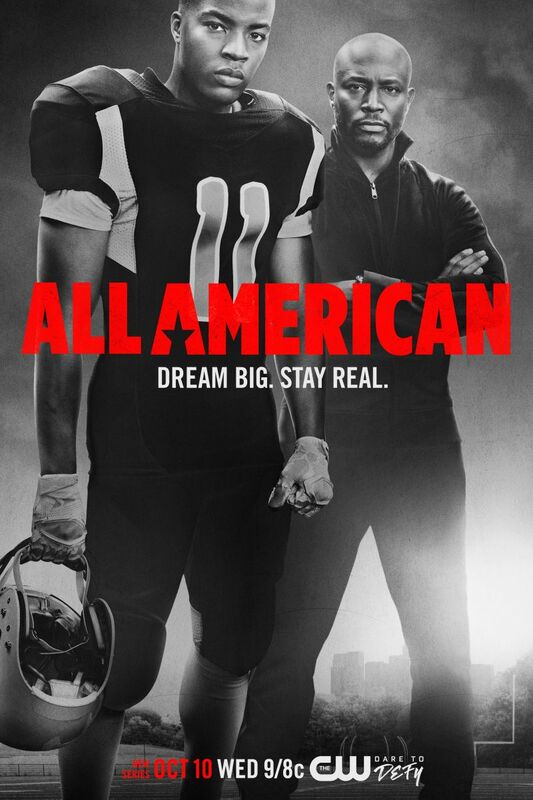 Inspired by the life of NFL player Spencer Paysinger, All American is from Warner Bros. Television and CBS Television Studios in association with Berlanti Productions, with executive producers April Blair (Reign), Greg Berlanti and Sarah Schechter. The post All American Key Art Revealed: Dream Big, Stay Real appeared first on ComingSoon.net.